Here is a list of Online CV making websites which lets you create an awesome CV for you just by entering data. So, you no longer need to take pain in creating a perfect resume, just browse these awesome links to create that perfect resume. 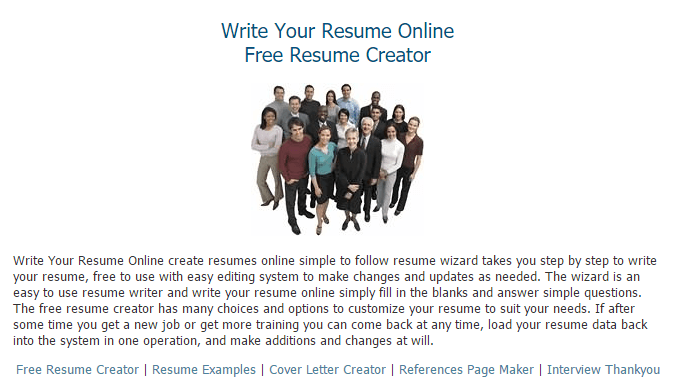 The free resume making website is regarded as the best place for the formation of resume. The CVs can be prepared in different styles and formats within a short span of time. The creation of the CV and its modification process is not very hard, rather its user-friendly and it takes very little time in performing the task. The user only has to fill up certain entries which are required for the making of the resume. The social networking sites like the Facebook or the LinkedIn account can be connected from this website and from those accounts, the CV Maker would collect information and details for forming the resume or the curriculum vitae. The resume becomes professionally perfect once it undergoes the final modifications. The Ceevee is another example of the CV making website which helps in making the CV of the user perfectly professional once the detail are filled out by him. The CV creation is extremely easy as the creating of an online profile is at any site. The document can be personalized and modified according to the user’s preference, sections can be added or eliminated and even various themes can be chosen for making the curriculum vitae more attractive and thus provides a perfect professional edge to it. If you are in IT field, there is a 0% chance that you are not aware of stackoverflow website. This act as a mecca for help related to prgramming. But now stackoverflow have also introduced developer story using which you can create your cv online and also can save it a s pdf. You can also send the link to your resume profile page to someone to showcase your skills. 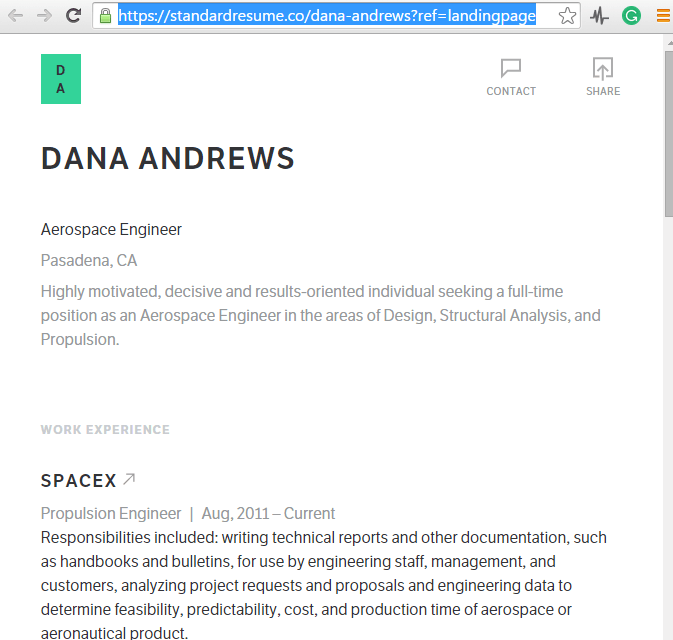 One standard resume that works everywhere. Just a beautifully designed resume maker for you which you can use to fill it with your own skill set and credentials to create a stunning resume in seconds. 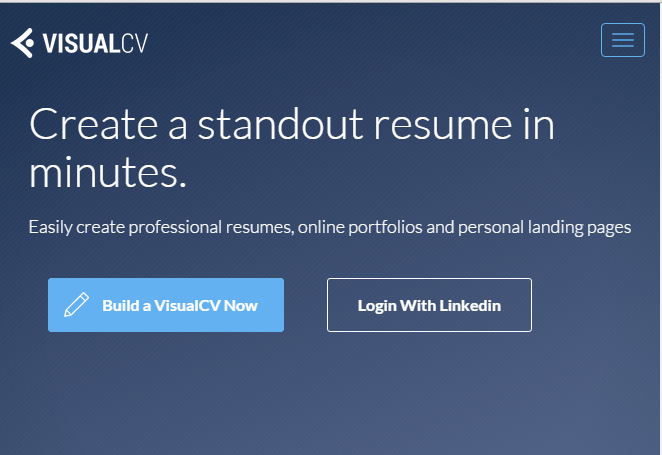 The evolution of making CVs online has made the world an easier place for the newbie and novice to frame their own preferred type of resume with the help of some highly used websites. The websites contain all the necessary spaces provided which need to be filled and the user can get an instant resume made of her. No forming new account or signing in is required for taking the help of these websites. The website Online CV assists the user in all possible ways and making a CV over there is very easy. The person just needs to upload his picture and attach it to the resume that is formed, which would provide a highly proficient look to the resume and works successfully. 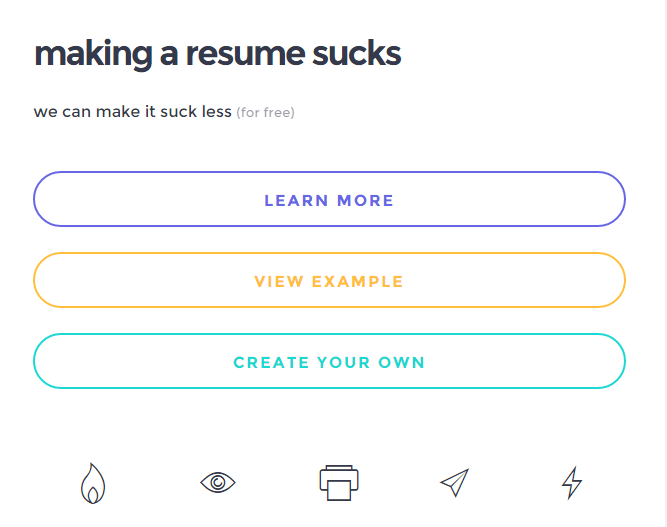 A cool tool to build a short and eye catchy resume for free. Just use this awesome tool to build a noteworthy resume which is not boring to read and looks interesting to the prospective employers. This particular website provides some innovative features for creating a professional CV for the users. There are a total of 30 styles present in which the user can create the resume, out of which the person has to select one and the personal details need to be filled out by the user regarding education, occupation and other extra information required for making the CV. In fact, there are a lot of colors and fonts present, which the user can use on his preference. Lastly, many model resume are present which helps the user in creating a strong CV for himself. The website involves the formation of resume that are based on multimedia technology. It offers a complete professional look of the user and is unique in its formation, hence extraordinary from the normal crowd. It is highly effective in today’s world where everything has become so internet savvy, including the interviews which are held online too. 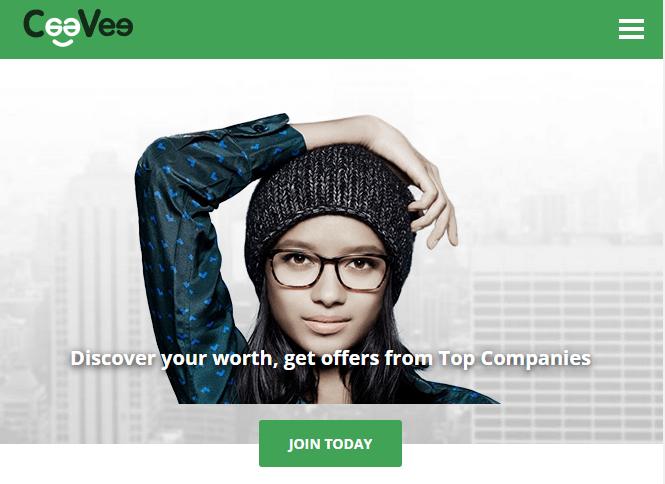 Hence, for standing firmly in this competitive market, this website become very useful as it offers a resume that is visually effective with pictures and snapshots, videos and footages, graphs, links etc. It is a new and innovative form of CV formation which is much more attractive than the stationary resume. A very famous and prevalent website for the formation of CV is Job Spice. This particular website is very common and even features in some reputed sites like the NBC, VentureBeat, Mashable, PCWorld and lot others. Over here in this website, the CV formation is really fun and exciting. The details and the information from the LinkedIn account can be used for the resume making in this site, thereby making the curriculum vitae perfect jut after a little editing is done. This particular website offers various kinds of tools and features for creating a strong professional resume and also provides appropriate procedures for using the tools successfully. Different types of instructions, guidelines, ideas and model resumes are provided for giving a compact idea to the user that helps in making a proper CV. 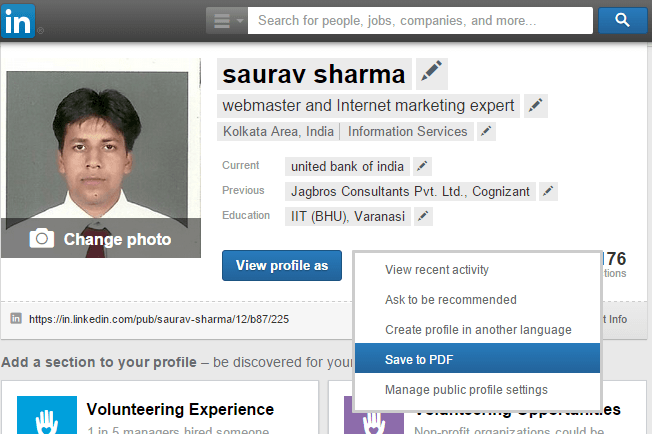 The user can also select any tester resume and edit that itself in order to get a new resume for him. The idea of the power of an Infographic is known to almost everyone. They can provide information and details in a very interesting way, which is visually alluring and also fascinating at the same time. Henceforth, if a CV is formed which is highly tempting for the eyes, like an appealing Infographic, it stands out from the crowd and becomes visible. The user needs to sign up with social networking sites like LinkedIn or Facebook, after opening ResumUp. Now he has to provide some answers to some very simple questions and thereby a powerful and strong professional resume or CV is created for the user. This particular website is another example of a site that creates potential CVs without hindrance. The site has a lot of model resume, which can be followed by the user for creating one for him. Other than a model resume, the site also offers important and vital instructions and guidelines that help in boosting the strength of the CV and makes it highly attractive. A person can insert images, tables, alter fonts, add shades and do much such other stuff. It even helps in modifying the existing tester resume, as per the desire of the user. 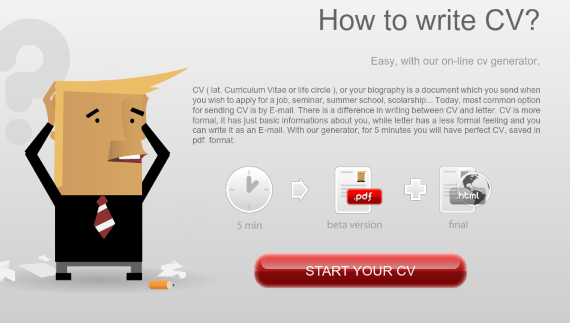 This website provides the opportunity of making CV online with the help of their tools and features. Over here, registration of the user is required before starting up the process. Different types of tools and amazing features present help in modification of the curriculum vitae. All the tools are very user -friendly, which together help in boosting a very alluring and potential CV. 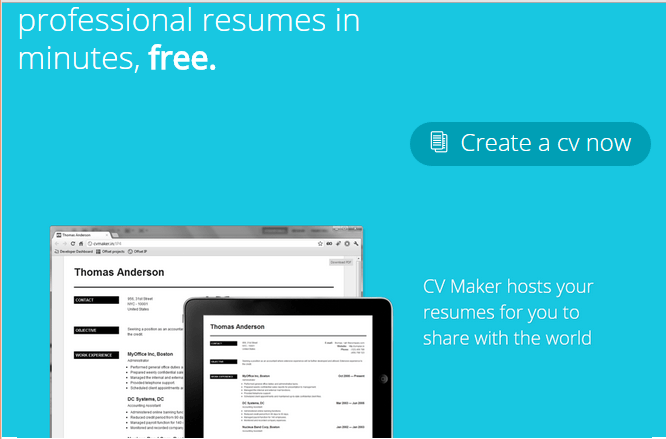 One of the best and easy websites that help in creating a perfect professional resume is Slash CV. The user needs to type and then save a copy by using the MS Word. The website lets the user modify, edit section headings, re-order them and also include some extra new ones. For downloading the CV, the person has to select one from a list of twenty-eight already designed and available PDF templates that are found in the website for free. It saves the document to the Dropbox which provides an easy access to the CV on any devices like the mobile, tablet or the PC. The last and the final example of the online CV making website is Cake Resume, which provides amazing features for resume formation. The website has a feature of grid system which is highly beneficial because it can assemble data into each section and even lets the user understand the hierarchy of his own CV. The curriculum vitae would modify its own layout for making it look more appealing and attractive, on any sort of screen size.